TRAKDAYZ is a keen supporter of the development of Junior Road Racing in Western Australia. 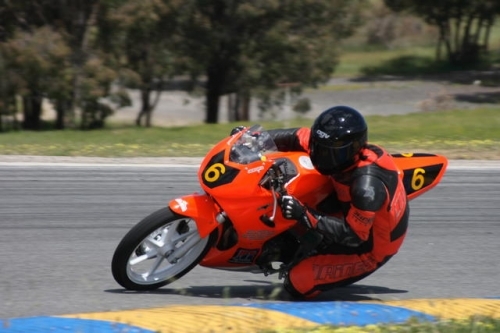 TRAKDAYZ began the coaching of Junior Road Racers in Western Australia, with the assistance of the incredibly knowledgeable riders from the Historic Motorcycle Racing Club. The end result is that we now have several local junior riders who are capable of running with the best in Australia. For more information on Junior Road Racing - see the Motorcycling Australia website. This is the future of our sport and we believe that they should be given all assistance possible. TRAKDAYZ are proud to have been involved in the development of Jack Coyle, who started his racing career on a CB150 in 2007.